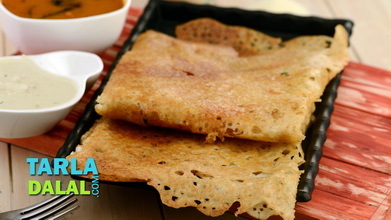 Combine the dosa batter, salt and a little water, mix well and keep aside. 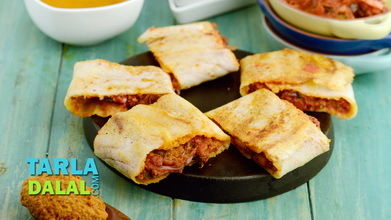 Heat a tava /non-stick tava (griddle), grease it lightly with ¼ tsp butter, sprinkle a little water on it (it should sizzle immediately) and wipe off using a wet piece of cloth. 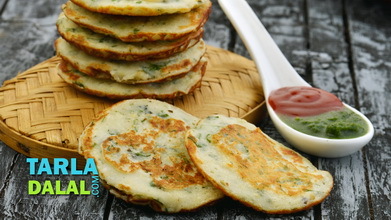 Pour ¼th of the batter on the tava (griddle) and spread in a circular motion to make a 175 mm. 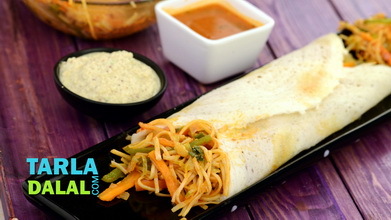 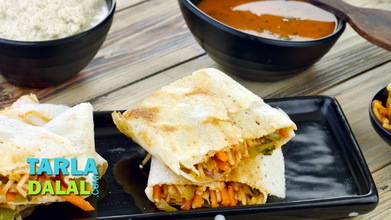 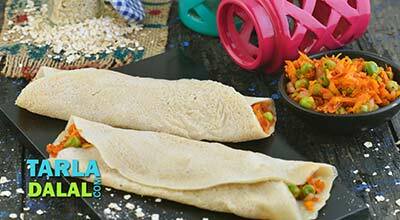 (7") thin dosa. 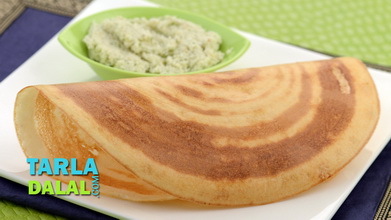 Spread ¼th of the prepared aloo masala evenly over the dosa using a spatula and cook till the dosa turns golden brown in colour. 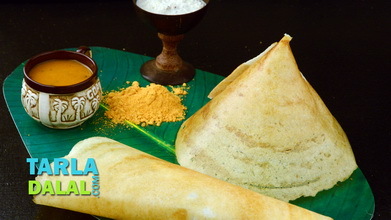 Repeat with the remaining ingredients to make 3 more dosas.